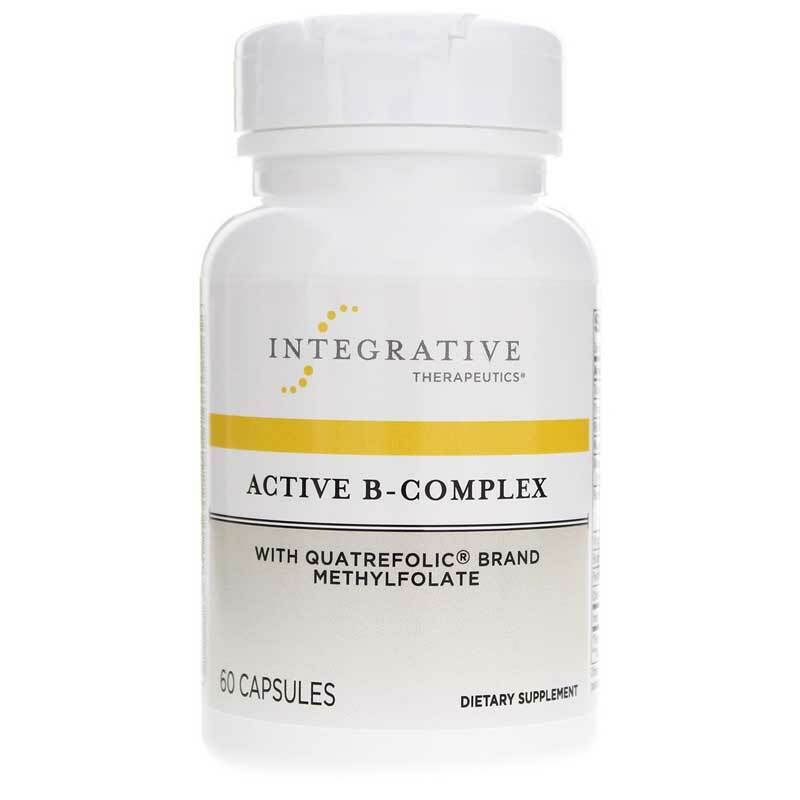 Active B-Complex from Integrative Therapeutics contains vitamins B1, B2, B6, and B12 to help support the nervous system and cardiovascular system. B-vitamins are related to healthy brain function in a variety of ways. For example, vitamin B1 is used in promoting the function of neurotransmitters, and vitamin B6 may help to promote memory and attention in its role in helping the blood to carry oxygen. B vitamins may also help to support heart health by supporting the control of the amino acid homocysteine, which may pose a threat to heart health. 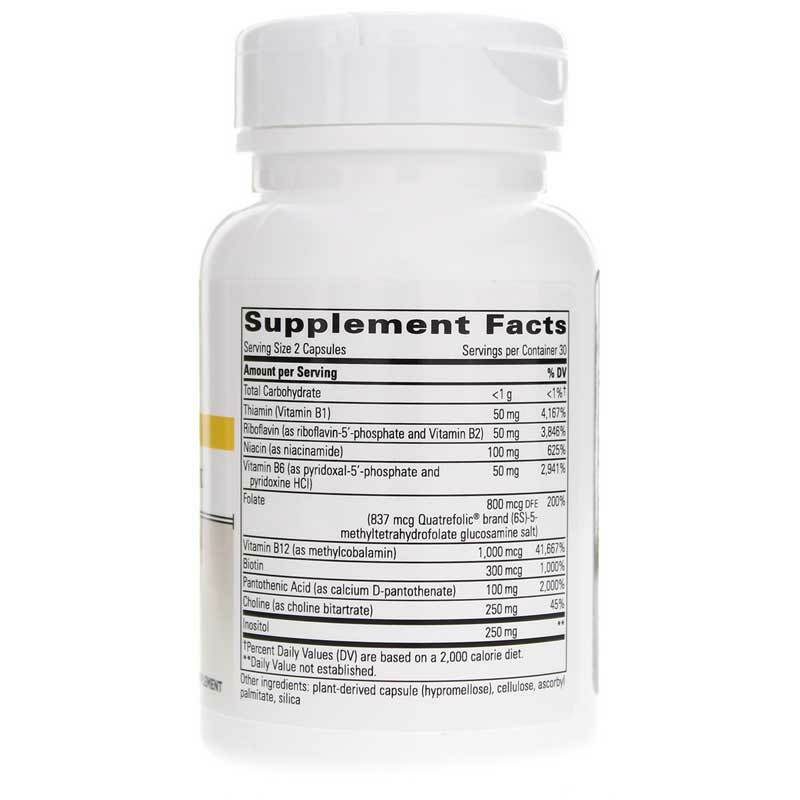 Also included in this supplementis a form of folate, which, when combined with B vitamins, may help to promote heart and neurological health. 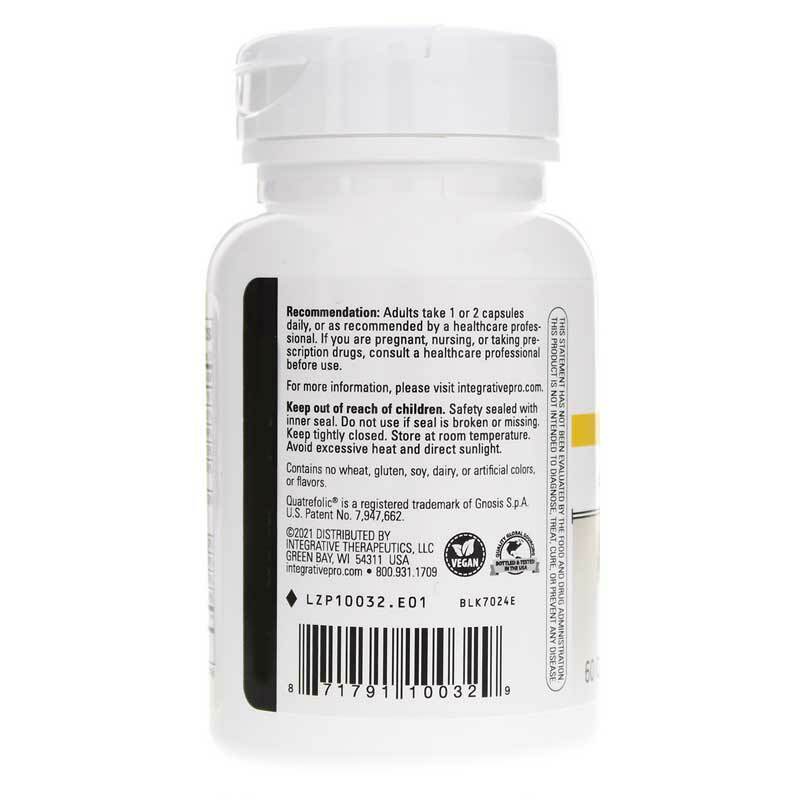 Adults may take 1 to 2 capsules daily with meals, or as recommended by a healthcare professional. Contains NO: sugar, salt, yeast, wheat, gluten, soy, dairy products, artificial coloring, artificial flavoring, preservatives, or ingredients of animal origin. This product contains natural ingredients; color variations are normal. Quatrefolic is a registered trademark of Gnosis S.p.A. Adults: Take 1 or 2 capsules daily with meals, or as recommended by your healthcare practitioner. If pregnant, nursing, or taking prescription drugs, consult your healthcare practitioner prior to use. Keep out of the reach of children. My naturopath recommended this brand of b-complex and it seems to be giving me energy. I'd definitely recommend it. Natural Health Concepts has friendly customer service and provides a seamless and stress-free ordering experience! I need to take the folate that is in this product for my MTHFR and I also need to have it be gluten free. I also like the fact that it has more bioavailable B-vitamins in it such as P-5-P for Vitamin B-6. Thank you for this product! I have been on these for about a month and can tell a difference already on my hair and nails.